Miso is actually very quick and easy to make at home. The difficult part is waiting for at least 6 months (or preferably up to a year) until the miso is finally finished and ready to eat. However, it is worth the wait. 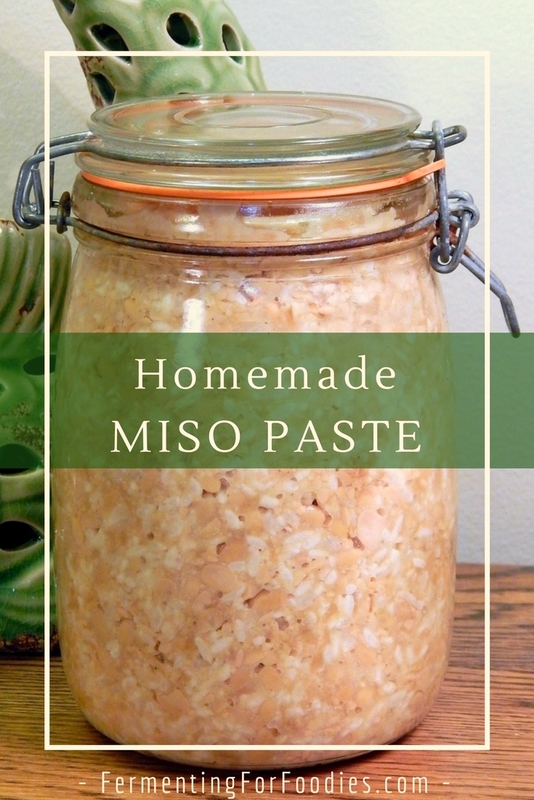 Homemade miso is tasty that you will want to eat is straight out of the jar with a spoon! I admit that I was worried about leaving something to ferment in a closet for more than just a month or two. However, I haven’t had a failure with any of my long term ferments. 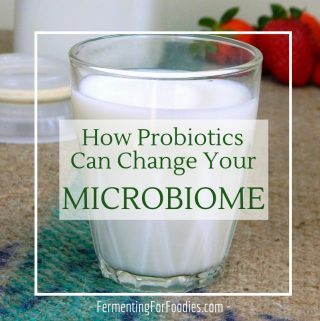 The secret is to sanitize everything and follow all the basic fermentation rules. ). Or you can try my recipe if you want to make your own. Simmer the beans until they are really soft (soy beans will take about 2 hours). Reserve 1½ cups of the cooking water, and drain the beans. When the beans have cooled to room temperature, mix in the koji rice, salt and reserved water. Mash by hand or with a potato masher. You want the rough texture of hand mashing, so don't be afraid to do it by hand. Then pack the mashed beans and rice into your container for fermenting. Sprinkle on a layer of salt (about 1 tsp). Use a weight to hold the beans down during fermentation. It will slowly produce a layer of dark brown liquid called tamari. Place in a cool, dark location to ferment for 6-24 months. 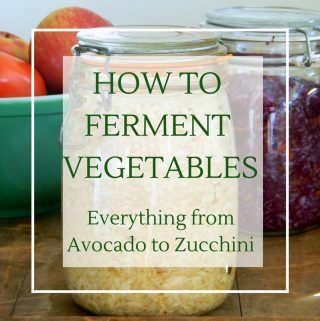 , because this is a long ferment so it’s important to prevent contamination. -There are many variations on the basic recipe for miso, mostly based on personal preference and tradition. The colour of the miso will change based on the percentage of rice to bean, as well as the length of fermentation. Soups: hearty miso soup and Japanese noodle soup. Salads: miso salad dressing and carrot miso salad. Culturing other fermented foods: hummus and white bean dip. 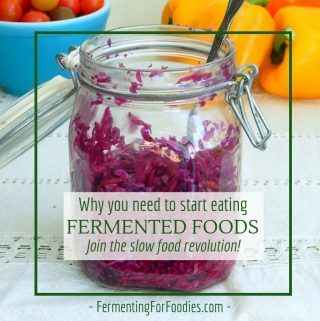 I do lactofermented veggies. I find that the totally anaerobic environment in a Fido jar works great. I want to try Miso. Most recipes seem to suggest a covering that will allow oxygen in. How did your Fido jar miso turn out? Did it work well in a totally anaerobic environment? It worked fine, though I will admit that my fido jar is old, and probably not completely anaerobic. Also, it did bubble over quite a bit. I have trouble with mold ferments (they give me sinus issues during the fermentation stage from the mold in the air) so I always try to keep my mold ferments somewhat sealed. 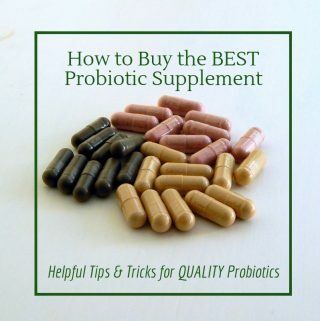 I believe that miso is a combination of aerobic and anaerobic bacteria, and that (provided you leave some air in your jar) the aerobic bacteria should be fine. I followed your recipe including how to make koji rice, taking also advice from several books and a general practice of fermenting veggies for a good long while. It is very interesting and I cannot wait to taste this first miso! Thanks for your site, except for the insistence to sterilise everything, which is not in my opinion necessary, I really like it! Except for beer, wine and cheese, I’m actually not that clean myself… 🙂 But I don’t want anyone to give themselves food poisoning, so I always talk about sterilization. That explains! I am delighted by my first miso and surprised by how much it has expanded in the fido jar! Most DIY miso recipes stress the importance of letting miso ferment through cold, warm and hot weather. They also direct to stir the miso once a month and remove mold. You skip all those steps and simply direct to “place in a cool, dark location to ferment for 6-24 months,” which for most places could only be in a refrigerated environment. Would you please comment on that? Thanks! You shouldn’t ferment in a refrigerator. By a cool location, I mean a garage or closet. Just not somewhere warm (like near a heater). Also, I’ve never had mold on my miso. And I don’t think miso should mold, instead it should form a little bit of brown liquid, which is delicious and can be used like soy sauce.